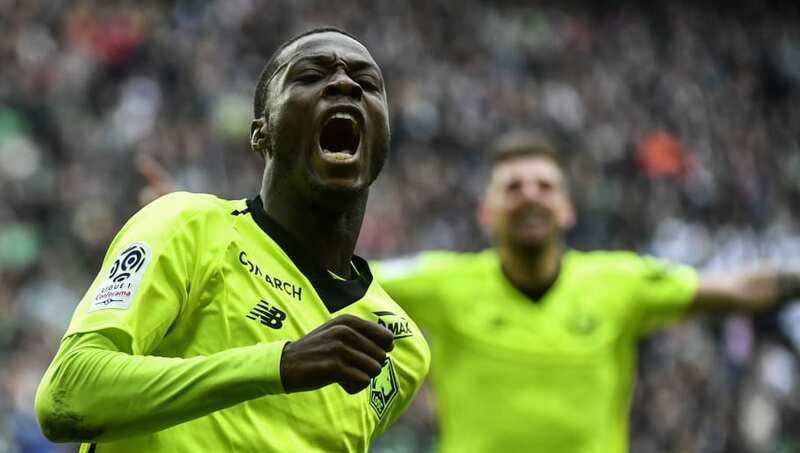 ​One of the hottest prospects in world football right now, it's fair to say Nicolas Pepe has enjoyed a real breakthrough campaign at LOSC Lille. Pepe's 'double-double' has attracted interest from many of European football's biggest sides this season, and as such, below is a look at some of the teams linked with a summer move for the winger, and how likely a move to each club actually is. In producing one of his best displays against the Parisian giants, Pepe undeniably jumped up the pecking order of potential summer targets for PSG. The winger scored one and made another two as Lille thrashed the reigning Ligue 1 champions 5-1 on Sunday, and ensured that they delayed Thomas Tuchel's men from lifting the French title for at least another week. With the futures of superstars Neymar and Kylian Mbappe relatively uncertain amid reports linking the pair with Barcelona and Real Madrid respectively, Pepe's name may just begin to crop up more in Paris. The 23-year-old never seems to be overawed by the occasion, and has time and time again stepped up for Christophe Galtier's side this season​, and if either of PSG's big money signings departs this summer, Pepe could be the man to step into those massive boots. With a director of football likely to be brought in to help Ole Gunnar Solskjaer with bringing in new faces, Pepe's name is likely to figure prominently at Old Trafford. ​United's Norwegian boss has shown tactical flexibility in his short time in charge of the club, but has predominantly favoured formations with wingers, and with just Anthony Martial, Alexis Sanchez and Marcus Rashford the main options, a new wide man may be on the cards. Juan Mata has sometimes played on the flanks but looks set to leave the club at the expiration of his contract this summer, while Sanchez has been well below-par since his arrival from Arsenal last year. Pepe's potential arrival would free up ​Rashford to play up top where he has excelled in recent months, and Solskjaer's preference for the counter-attack would look all the more devastating with a front three of Martial, Pepe and Rashford. In what is expected to be a long drawn-out saga this summer, it is Serie A giants Inter who have made the first move in the race to sign Pepe. France Football claim that the Nerazzurri have tabled a bid worth €60m for the winger, and that the Italian side have been in 'constant contact' with Lille in recent weeks over negotiating a move. Croatian star Ivan Perisic was on the verge of joining Arsenal in the January transfer window, and could well be allowed to move on, and as such a replacement would be sought. Whether Pepe would see joining ​Inter as a more attractive proposition than some of the other clubs featured on this list remains to be soon, and with Lille expecting a bidding war to take place, Luciano Spalletti's side could well find themselves priced out of a move. While both are great with their feet and look suited to the Arsenal 'tiki-taka' style, neither seem the best when it comes to electric speed and direct dribbling. Step up Nicolas Pepe. The Ivorian relishes one-on-one situations with the opposite full-back, and having that ability to do something out of the ordinary and conjure up a bit of magic for the likes of Pierre-Emerick Aubameyang and Alexandre Lacazette to feed off is exactly what Emery's side need. How likely they are to sign him will surely depend on how the Gunners end the season. Seemingly the early frontrunners for Pepe's signature, ​Bayern are intent on completely rejuvenating their squad after what ultimately has been a rather disappointing season. The Bavarian giants are still battling for the Bundesliga title, but fell short at the last 16 stage of the Champions League to Liverpool, and were, in truth, made to look rather ordinary by Jurgen Klopp's side. With the Ivory Coast international's price likely to be upwards of €80m, Bayern will have the edge over Arsenal when it comes to being able to afford the winger, and that could make all the difference this summer.